We are one of the leading Distributor & Trader of Pocket Scales. 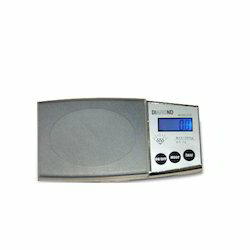 Our product range also comprises of Billing Machine, Currency Counting and Value Added Counting Machine. 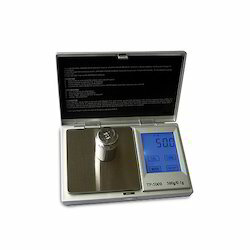 These highly economical and user friendly Digital Pocket Scales offered by us in the market are appreciated for their effectiveness and accuracy. Manufactured by reputed vendors, the offered product’s quality is always maintained. Provided at the best prices possible, these scales have a diverse usage both industrially and domestically. The offered Weighing Pocket Scales with a highly sensitive interface and easy to operate touch panel are highly demanded. Manufactured in compliance with the set industrial norms and guidelines, by reliable vendors, their standard never diminishes. Provided in the market at the best price possible, these products are highly acclaimed. 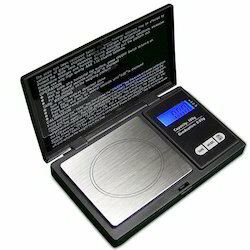 Used for measuring the weight of diamonds with utmost ease, the offered Pocket Scales. The offered products that is very high in demand due to high accuracy and efficiency.